uKid is an alternative solution for you to always keep in touch with your children. Thanks to it, your children will be freer, safer and always accessible, while you will be more relaxed and carefree. kid's smartwatch-phone - for children. No need to worry, if your child is out of sight. 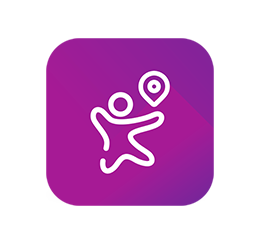 With uKid app you may locate your child at any time: kid's smartwatch-phone is always with your child and helps you locate him. Children are curious and always keen to discover new things, which may take them far from their location. With uKid app you may set "Safe Zones" for your child, and whenever (s)he is out of the Safe Zones pre-set by you, uKid smartwatch-phone will send a notification to your mobile app. You may set the contacts you want your child to keep in touch with. Moreover, your child will receive calls and SMSes only from these very contacts. Simply enter the contacts in uKid app. You will be immediately notified, if your child finds him(her)self in an emergency and needs your help. In such cases, your child may contact you by pressing and holding the SOS button. You will be immediately notified via SMS. Every child needs some help in managing his (her) time effectively. With uKid app parents may set a daily agenda and send notifications/reminders to their child. uKid will regularly remind him (her) about his (her) daily tasks. Children get easily distracted while in class or when doing homework. "In the Classroom" mode restricts use of the uKid smartwatch-phone, thus helping your child to not get distracted while in class or when doing homework. A healthy child is a joyous child. Thanks to uKid Step Tracker, you will know how much your child has walked through the day. With uKid app parents may set Safe Zones for their child, control child's location, send notifications to uKid kid's smartwatch-phone, as well as call and send SMSes. You may acquire the device by subscribing to the uKid tariff plan for 12 months and paying 20 000 AMD as an advance payment, and then pay the device fee of 2500 AMD and tariff plan monthly fee of 2000 AMD during the period of 12 months. Upon the expiry of the commitment period, you will only pay the uKid tariff plan monthly fee of 2000 AMD. If you wish, you may pay the full price of the device, i.e. 50 000 AMD, and then pay only the uKid tariff plan monthly fee of 2000 AMD. You may buy uKid kid's smartwatch-phone from Ucom shops listed here or Ucom online shop. uKid kid's smartwatch-phone is compatible only with the uKid tariff plan SIM cards.